In the Name of the Moon: Sing the Sailor Moon Crystal Opening! Sparkles, cute voices, transformations, and Momoiro Clover Z! 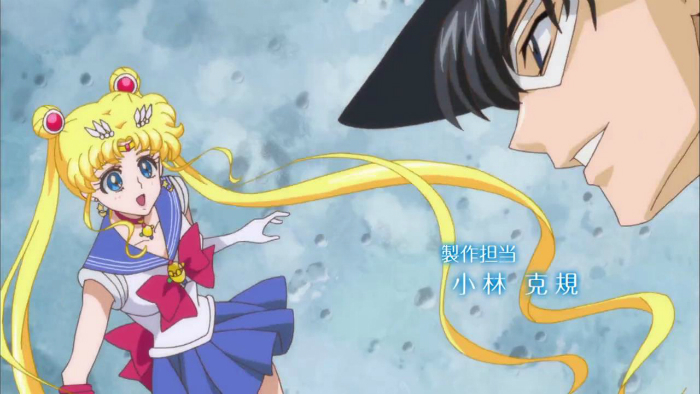 Everything you'd expect from the new Bishoujo Senshi Sailor Moon Crystal opening and more! It may have been more than a year since the new Bishoujo Senshi Sailor Moon Crystal series premiered, but you can rest assured that fans of the series have been spazzing about it since it began, and have no intention of forgetting the Pretty Guardian Sailor Moon anytime soon! When the new series was announced, the opening title had some very big shoes to fill! Although the story of Sailor Moon is not new, the excitement that comes with singing along with the opening song and making the famous Moon pose is never-ending. 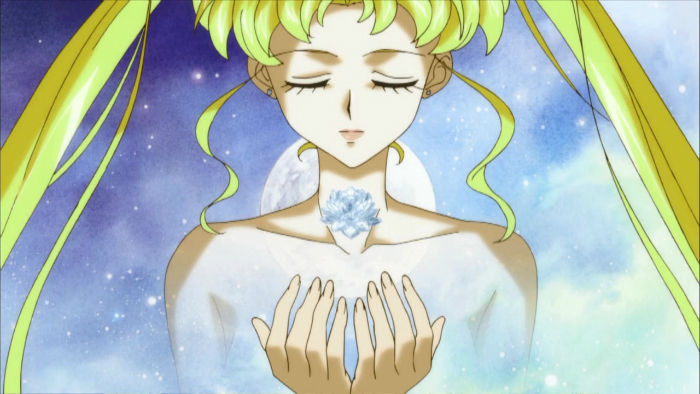 The Sailor Moon Crystal opening, which premiered on July 5th, 2014 certainly did not disappoint. It starts with a quick zoom in of all five sailors and you instantly think, "Omg it's 3D!" While of course it's not as if the entire series is in 3D, the characters have certainly been portrayed through CGI in new ways, and this is something that you are let it on at the very beginning of the opening song. What follows are images of each individual sailor, accompanied by windy hair, long stares into the distance, and of course an image of the Moon. The girls are also shown in their regular clothes with the kitties Luna and Artemis on their shoulders, and of course Mamoru makes an appearance as well! The girls kick the song in gear with their individual transformations, followed by clips of villains that will surely ruin their day, Tuxedo Mask rocking his suit and top hat, and a magical appearance from the beautiful Neo Queen Serenity. If you weren't excited at the beginning of the opening, by the end of it you most certainly will be. 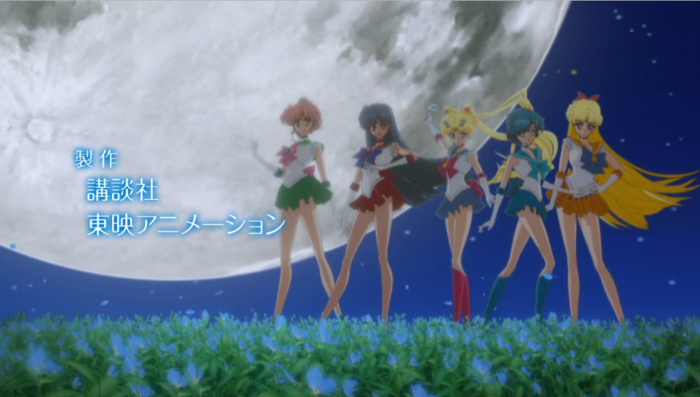 The song finishes with the iconic poses from each sailor, and of course, the moon in the background. 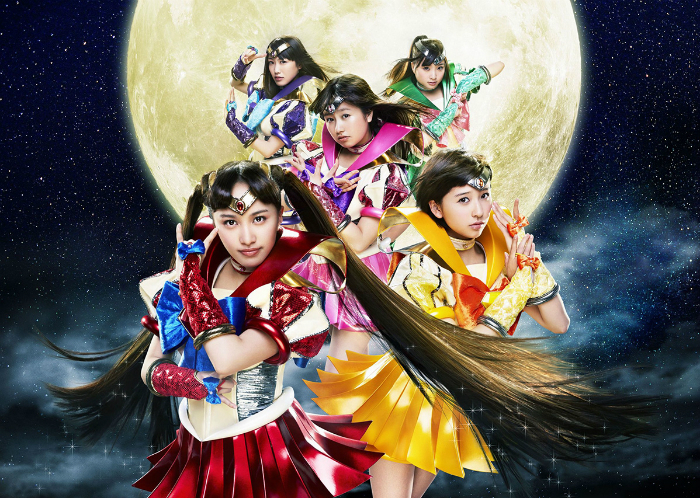 The opening song, MOON PRIDE, was performed by Japanese idol group Momoiro Clover Z, who are best known for resembling sailor soldiers themselves. The song was released as part of their 6-track CD with the same title on July 30th, 2014. The cute vocals go very well with the bright colours and sparkles of Sailor Moon Crystal, but they still sing of empowerment and dedication to achieving your dreams. This is very much in line with the story line and of the fights that will come later. All in all, the opening song does not disappoint from the theme and ambience of the anime, and it is certainly catchy enough to be hummed and sung for months to come. 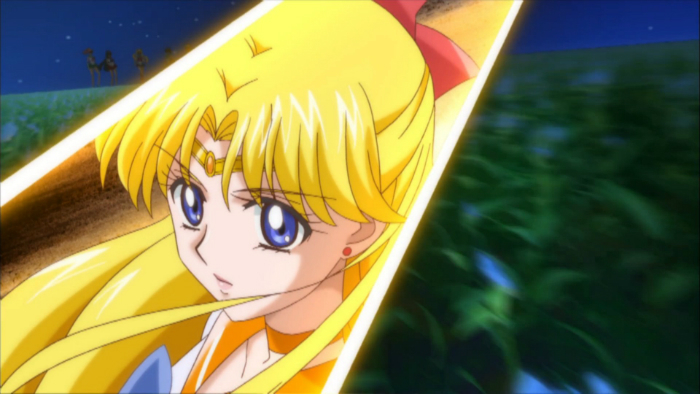 Sailor Moon Crystal was one of the most anticipated anime series of 2014. However, although it succeed in some aspects, when it comes to its art, fans were left disappointed. It may surprise you how much was left out, and how heavy the censorship was of Pretty Guardian Sailor Moon. But, with the release of Pretty Guardian Sailor Moon Crystal, hopefully we'll get to see the full picture! Redline is one of the most flat-out entertaining films to come out of anime in recent memory. There's a whole host of reasons for this, but for now we're concerned with the beautiful music behind it. Here's a small sampling what you should jam to from the film.